When it comes to planting shrubs and trees that will attract bees, find a balance between those that flower across all seasons. In South Africa, the months of November, December and January are referred to as our dry months when it comes to bees. There is not much food available for bees, hence they fly away and in all likelihood never come back. We suggest planting Michaelmas Daisy, Cape Honeysuckle, Tree Fuchsia or African Dogwood to name a few. If you really have to spray insecticides and herbicides in your garden, rather do so in the late afternoon/evening as bees usually forage in the morning. Neonicotinoids are a group of pesticides widely known to be harmful to bees. Pesticide molecules stick to their feet, which they then take back to their hive, and other bees rub against them, spreading the deadly poison. Poison is also spread by pollen which is taken from a plant back to the hive and stored for a couple of months, the smaller bees then consume from that pollen which ends fatally. It’s important to note there are bee friendly options on the market, try find and choose these. If bees move into your garden or inside your home or verandah, don’t panic. They are usually just temporary house guests needing some rest and they should move on again after a couple of days. During this resting period, bees are not aggressive. If however they do stay longer (you will notice honey combs), and you would prefer not to have them settle in that particular spot, it important to get them safely removed. Do not try to move them yourself and most certainly, please do not spray any poison. Rather, contact a knowledgeable been keeper to assist you. Locally, you can contact Inge Lotter, chair of the Lowveld Beekeepers’ Association who would be able to refer you to your nearest beekeeper on 082-821-5011. If you would like to attract the bees to your garden, put a flat bowl of sugar water out in your garden with a ratio of about 1:20 or 5% sugar. You can heat the sugar water first and then allow it to cool, but this is not compulsory. Bees can’t swim so be sure to put some twigs or a piece of shade cloth over the water, giving them something to walk on while sucking up the water. If possible, buy local honey from a beekeeper you trust who cares about their bees. 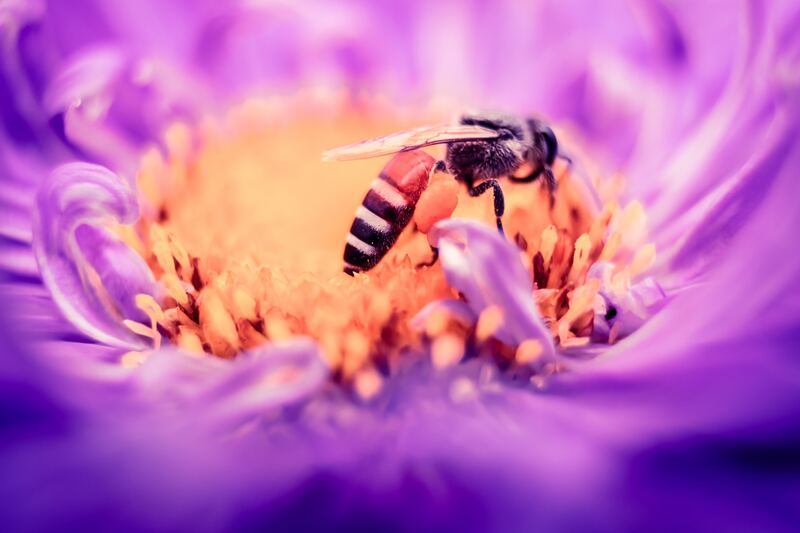 Ask the beekeeper about the kinds of flowers the bees have been foraging on so you can learn a little more about the honey you are going to eat. I.e. do they forage on farm crops, garden flowers etc. Talk about the need to help save bees. Share these tips with your friends, family and neigbours. Educate your children, they are our future conservationists.